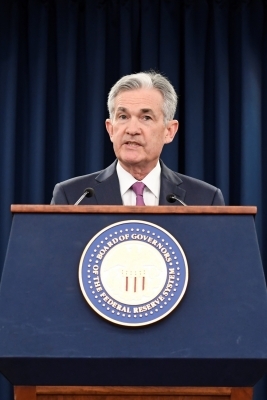 Washington July 13 (IANS) US Federal Reserve Chairman Jerome Powell said that President Donald Trump s administration s high tariffs against imports could be negative for the American economy. "If it works out other ways so that we wind up having high tariffs on a lot of products and a lot of traded goods and services... And that they become sustained for a long period of time that could be a negative for our economy " Powell said in an interview on Thursday. Fed officials are "hearing a rising level of concern" from US businesses about the impact of the Trump administration s tariffs Xinhua news agency quoted Powell as saying. "I think if you re picking up a newspaper today you re hearing that from a lot of businesses " he said adding "it s very difficult to predict how it turns out." The Trump administration has imposed high tariffs on imported steel and aluminium products as well as Chinese goods drawing strong opposition from the domestic business community and retaliatory measures from US trading partners. American businesses plans for capital spending had been scaled back or postponed as a result of uncertainty over trade policy and US farmers were concerned about the effect of potentially higher tariffs on their exports according to the minutes of the Fed s June policy meeting released last week. The Fed raised its target range for the benchmark federal funds rate in June for the second time this year and included two more rate hikes in the second half of the year. Market participants are expecting that the central bank will raise rates again in September and then hike in December. But Powell signaled that the central bank could slow the pace of rate hikes or even lower interest rates if the US economy weakens.